As Lindenwood moves into the one-month mark of the school year, fall athletics begin to reach their peak. 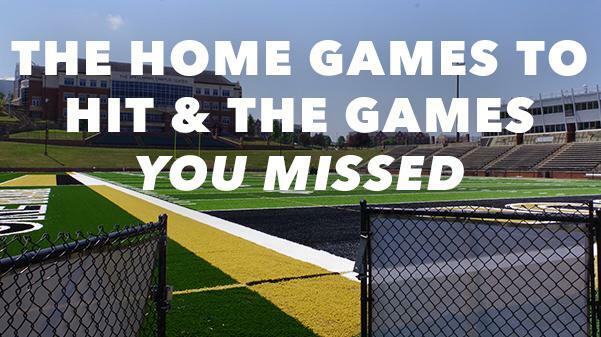 Last week, 11 different Lindenwood organizations participated in tournaments and MIAA conference games, a couple of which broke Lindenwood school records. FOOTBALL: On Saturday afternoon, the Lions captured their first win against Emporia State in program history. The 48-41 win was orchestrated by quarterback Cade Brister, who was responsible for over 380 yards of total offense and six touchdowns. Another bright spot for the Lindenwood offense was running back Nash Sutherlin; the junior rushed for 166 yards and a touchdown. Defensively, Ricky McCoy led the Lions in tackles with 11, and added an interception. MEN’S ICE HOCKEY: The Lions opened up their season with a two-game weekend set against Central Oklahoma. In Friday’s match, Lindenwood took home the win 4-2, with goals coming from Brendan Murphy, Matt Runyon, and two from Zach Mitchell. Saturday’s match followed in similar fashion; a shutout by goalie Cooper Sedott and goals by Alex Kalau, Ryan Finnegan, and Mitchell lead to a 3-0 win for the Lions. WOMEN’S RUGBY: A weekend spent in Colorado was well worth it for the Lions. Both A and B rugby teams came back to St. Charles with wins coming against the Glendale Merlins Women’s Premier League. The B squad won 37-26. Lindenwood awarded Alicia Barry as Back of the Match, and Selena Tuilaepa as Forward of the Match. The A team played next and won 29-17. After the game, Caring De Freitas was awarded Back of the Match, and Joyce Taufa as Forward of the Match. MEN’S SOCCER: The only game of the week for the Lions resulted in a 2-1 loss against Upper Iowa. In Sunday afternoon’s MIAA opener, Lindenwood’s only goal was scored by Gaspar Alvarez. WOMEN’S SOCCER: Last weekend, Lindenwood sealed away two wins against MIAA Missouri foes. The women captured a 2-0 win on Friday against Northwest Missouri State with goals coming from Sammi Gregory and Jordan Wipke. In Sunday afternoon’s 1-0 win against Missouri Western State, Katie Juhlin was responsible for the game’s only score. FIELD HOCKEY: The Lions played both Mercy and Newberry College at home last weekend. In the Saturday matchup against Mercy, the women picked up a 3-1 win. Jessie Londono scored once along with Bridget Hoogendijk’s pair of goals. Sunday, the Lions also finished with another win after defeating Newberry 4-2, with goals coming from Pauline Terwindt, Mary Calre Banholzer, and two more from Londono. WOMEN’S VOLLEYBALL: Last week, the Lions played against three opponents, two of which who were nationally ranked in the top 25. In Tuesday’s matchup against No. 13 Central Missouri, the women lost in straight sets, 3-0. Sadie Kosciuk and Alexa Pressly both posted 10 kills, while Allyson Clancy finished with a team-high 33 assists. The Lions next played No. 21 Washburn on Friday night. In their 3-1 loss, Kosciuk and Pressly both again came up with 10 kills, while Jenna Garrett finished with 39 assists. In the Lions’ first game against Emporia State this year they lost 3-2. In the Saturday afternoon matchup, the women broke the school record in assisted blocks in a game with 32, while Kat Finnerty broke the school-record in individual blocks in a game with 13. MEN’S GOLF: At the 20th Annual Northeastern State Golf Classic, the Lions placed first out of 18 teams. The two-day tournament from Monday to Tuesday left Lindenwood with their best stroke finish in school history with 831 (-21). In the field of 101 golfers, two Lions finished in the top ten; Yente Van Doren placed second, while Carlos Abril tied for tenth. WOMEN’S GOLF: On Saturday, the Lions played in their first golf match of the year. Josefina Haupt shot a team best 78, as the Lions lost a close one against Washington University 339-313. MEN’S CROSS COUNTRY: On Saturday, the men participated in the Chile Pepper Festival at Arkansas University. On the 8-kilometer course, Lindenwood placed 15th out of 45 teams. In an event with 441 runners, the top three finishers for the Lions were: Austin Crowe who placed No. 34 with a final time of 25:30.2, Ero Doce who placed No. 37 with a final time of 25:32.5, and Jerod Broadbrooks who placed No. 42 with a final time of 25:38.3. WOMEN’S CROSS COUNTRY: On Saturday, the women also participated in the Chile Pepper Festival at Arkansas University. On their 5-kilometer course, the Lions finished 32nd out of 51 teams. Lindenwood’s best finisher was Najwa Chouati, who placed No. 94 out of 425, with a final time 19:06.4. Students can earn points by checking into events on the Lindenwood Lion Pride app. Points can then be redeemed for prizes, including free Under Armour shoes and Papa John’s pizza. The app is available for free download on  Apple’s App Store and the  Google Play store. This Saturday, Sept. 29, the Lions (2-2) will host the Gorillas of No. 9 Pittsburg State (4-0) at 1 p.m. for the Hall of Fame Game. Lindenwood football alumni Hoyt Gregory and Andrew Helmick will be inducted. The Lions (3-3-1) will play two home games this weekend. The first against Northeastern State (6-1) at 1 p.m., who comes into this contest currently No. 8 in the nation. While Sunday’s 1:30 p.m. matchup is against Southwest Baptist (0-7). The women’s team (4-3-1) will also play two home games this weekend. The first, on Friday night at 7 p.m. against Missouri Southern State (5-2-1). The second matchup will be played against Southwest Baptist (0-7-1) on Sunday morning at 11 a.m.
ISF helps international students feel at home in the U.S.